See your work in its best light on the Dell UltraSharp 24 Monitor U2414H. Its upscale design features an amazingly thin 6.05mm border1 around a 23.8" Full HD display that delivers impeccable images. Carefully color calibrated at the factory, the Dell UltraSharp 24 Monitor U2414H features more than 96-percent sRGB color space for impressive color from the moment you set it up. In addition to 90-degree clockwise or counter-clockwise pivoting capability for use in side-by-side or top-to-top applications, the Dell UltraSharp 24 Monitor U2414H offers generous height, tilt and swivel adjustments. 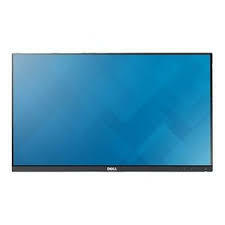 You can also connect your Dell UltraSharp 24 Monitor U2414H to peripherals that require HDMI, DisplayPort or mini-DisplayPort connectivity.